How many remotes do you have in your home? Now, how many do you wish you had? The answer, of course, is one; one remote to control everything in your home. One set of batteries to change, one remote to keep track of, and one great reason to get rid of that ugly ‘remote basket’ you’ve been using since your bachelor pad days. That is what true luxury is and with McCray Communication, this luxury is much closer than you may have thought. With our RTI remotes we can ensure you can control multiple functions no matter where you are in the house. This includes sound systems, blinds, lights, and home theater systems. 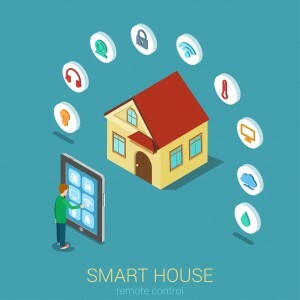 It becomes a complete home automation system, making your home into an intelligent home. 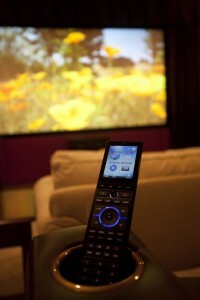 We offer home pre-wiring for universal remote controls as a way to help our clients advance with technology. From setting up a single room to connecting all rooms of your home to one individual remote, our pre-wiring service sets your home up for success. Before we call our job complete, our team pays close attentions to every individual wire and ensures that all your systems are up and functioning via your universal remote. We use only the best quality, commercial-grade equipment to ensure that anything we touch in your house is either advanced or, at the very least, returned to the state it was when we showed up. This means we never leave your home with any open holes, loose wiring, or messy finishings. We take care of your home like it is our own, and take pride in everything we do for our clients. You deserve the best; you deserve a universal remote that makes your life easier, and McCray Communication can give that to you. Get more information on our pre-wiring services or schedule your no hassle consultation today.